The National Center for Earth and Space Science Education, and the Arthur C. Clarke Institute for Space Education, are proud to present the 32 Mission Patches selected for flight to the International Space Station (ISS) in Falcon I, the experiments payload for SSEP Mission 3 to ISS. 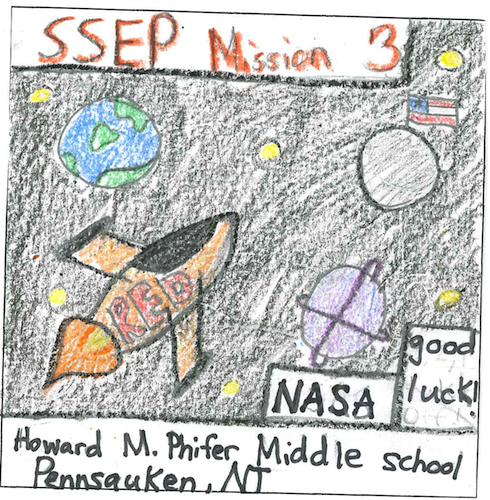 Across the 17 communities participating in Mission 3 to ISS, 33,200 students were given the opportunity to participate in mission patch design competitions at the local level, and there were 4,840 patch designs submitted. Judges within the communities selected the 32 patches shown below. 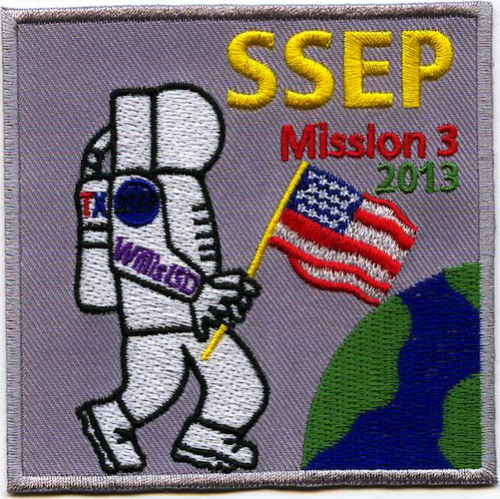 You can also read more about the Mission 3 to ISS Patch Competition at the main SSEP website. 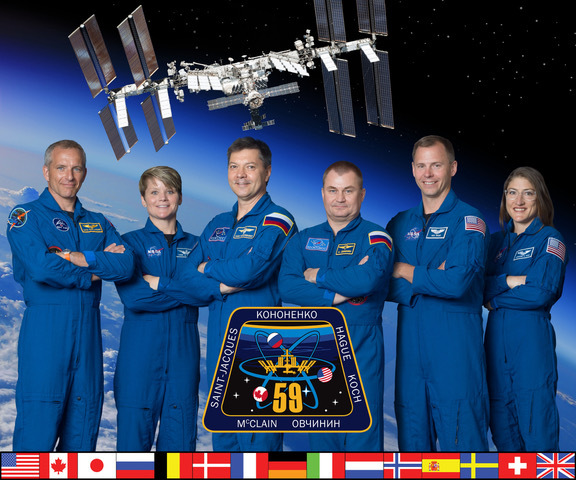 The Teachers in Space National Mission Patch Competition was open to 25 middle and high schools located throughout the United States whose teachers participated in a 2012 Flight Experiment Workshop at NASA AMES Research Center. Over 160 students in grades 8-12 entered and over 90 patches were submitted. Members of the Space Frontier Foundation selected the two winning patches. “We wanted to honor our school and all that we represent. The buildings represent the unity we feel at MHA. It symbolizes that we are all one, as a community working together to reach our goals . . . The ISS is where we can do experiments to help us learn how to grow plants and trees in outer space. This will help us to someday build civilizations on other planets and be as united on that planet as we are on Earth,” said Cindy Castro, Mark Greenberg, Andrew Dillon and Yazid Forcer (Murray Hill Academy in NY). “The viper represents our mascot of the school, and it also represents the next generation’s lunge into space as the private space industry emerges. 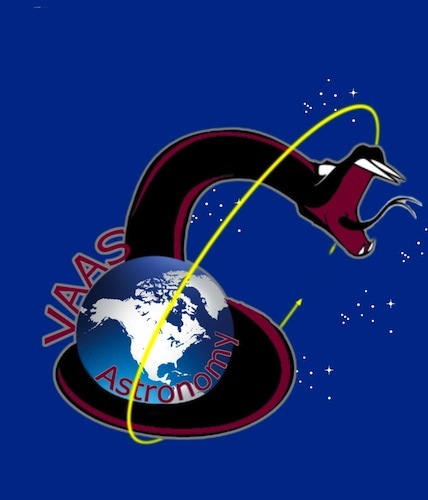 The Earth is delicately cradled within the lap of the viper, and we are protected from the dangers of space,” said Florian Storz (Valley Academy of Arts and Sciences in CA). 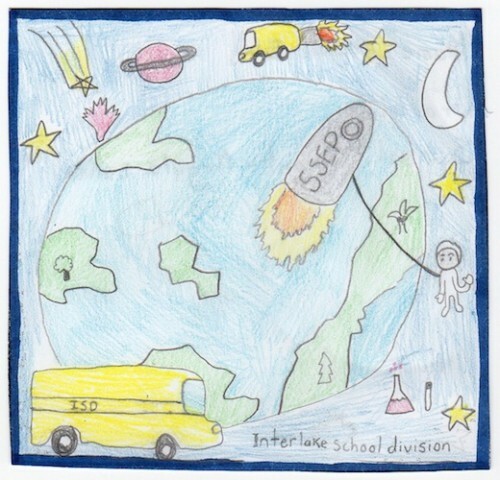 Interlake School Division held a 2-mission patch competition for Mission 3 to the ISS. 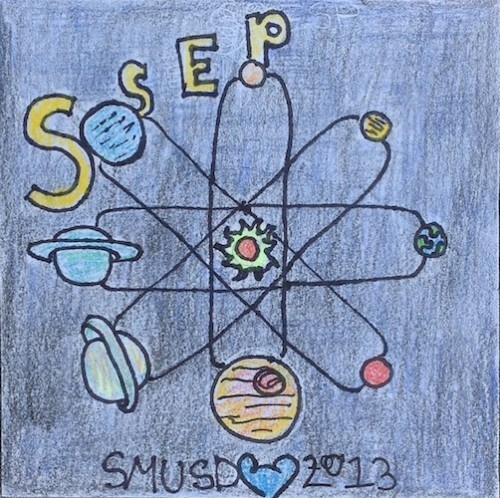 1800 students, from 9 schools in K-8 competed for the chance to send 2 mission patches with our experiment to the ISS. Students were allowed to compete as individuals or in teams. Within each school there were classroom competitions and the whole school voted to determine a finalist. 16 finalists were chosen out of 800 entries. These 16 finalists were sent to the school board office where an educational committee of the superintendent, assistant superintendent, trustees, and curriculum coordinators reviewed the finalists and chose the winners. One winner was chosen for K–4 from Argyle Elementary/Middle School – Abigail Enns (Gr. 4) and 5–8 from Stony Mountain Elementary/Middle School – Sammy Abas, Nicole Czarnecki, Quin Arsenault, Bret Sveinson (Grade 8). 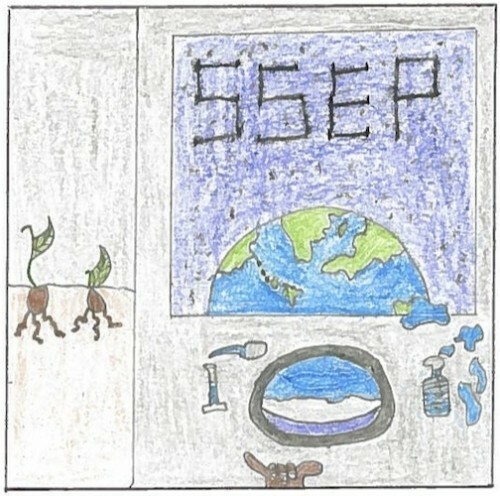 The mission patch competition was a chance to display artistic interpretation about SSEP and space education. Students excitedly sketched and colored a variety of themes and ideas for the competition. Many schools had large hallway displays of their mission patches for all to see and enjoy. It was an amazing opportunity to involve so many students and build excitement about our experiment going to the ISS and have some beautiful artwork accompany our experiment. 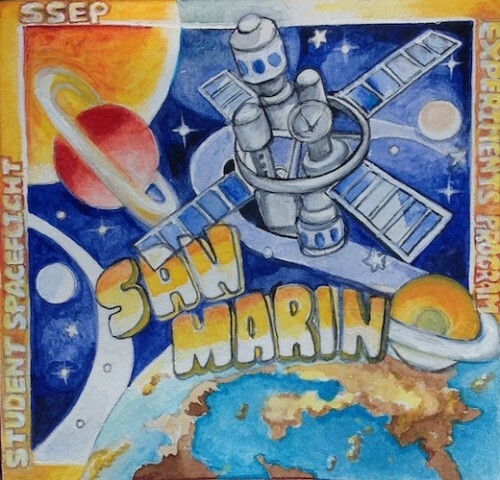 Over 200 students from the San Marino Unified School District submitted patches. From each school, the top ten were selected to represent their school. From the top 20, representing the two elementary schools, Valentine and Carver, and the top 20, representing Huntington Middle School and San Marino High School, a committee selected Tiffany Louie, a 5th grader from Valentine Elementary School, and Catherine Yang, a tenth grader from San Marino High School. The selection committee was composed of many community members as well as administrative and faculty personnel. The Capital Hill Cluster Schools – in the shadow of the US Capitol – is a unique public school in Washington DC that spans three campuses and over 1,200 students, reaching students from early childhood (PK3) through 8th grade; Peabody Early Learning, Watkins Elementary and Stuart-Hobson Middle Schools. The competition was divided across the entire school, split-up amongst upper level 4-8 grades and lower level PK-3rd grade. A total of 940 patches were created and a team, made up of teachers, administrators, parents and community members, narrowed the initial set down to 100 for each group. Secondly, all the student patches were displayed in the school and teachers, parents, and grade level representatives voted over a two-week period until we were able to narrow it down to just two. The winners are Chloe Dennis from Kindergarten and Gianni Smith from Seventh Grade. 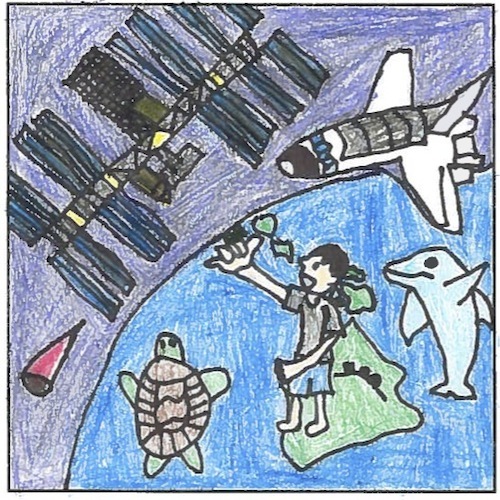 Students from the Hilo-Waiakea Complex were invited to design a Mission patch in two categories: K-6 and 7-12. The number of students per grade level was approximately 640 from Grades 7-8, and approximately 450 from grades K-6. The number of patches submitted was approximately 120. A panel of judges chose two patches. Isaiah Toledo, Grade 8, Waiakea Intermediate School designed the patch with the plants and the science equipment. His teacher is Ingrid Fregeau. Roman Usuda, Grade 5, Waiakea Elementary School designed the patch with the dolphin and the turtle. His teacher is Nancy Young. Valley Center, USD 262 held two simultaneous Mission Patch competitions, one for students K-8 and the other for students 9-12. 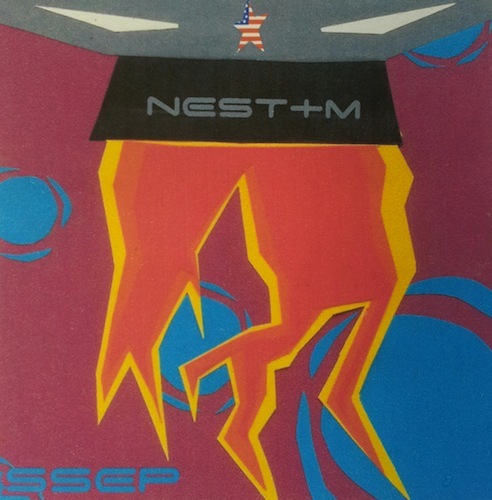 In line with the experimental design contest, the mission patch contest also entailed several levels of review. All 2,700 students in USD 262 where given the opportunity to participate in the competition and submit a design. Over 200 patch designs were submitted for review from all of our schools. The winning patch from the elementary schools was ultimately chosen by public vote at the Fall STEM Showcase Event. Hannah Warden, a 6th grader at Valley Center Intermediate School, created the winning patch. 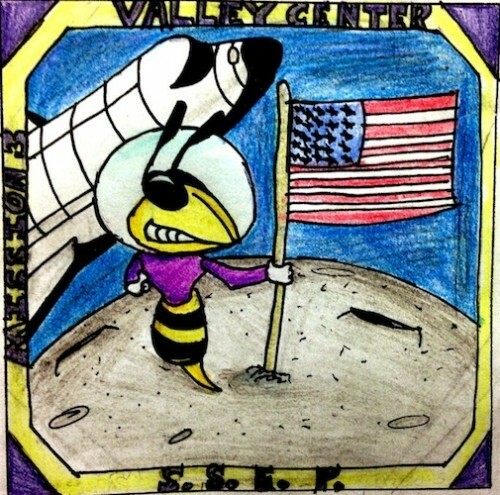 Valley Center High School students selected the winning patch for the high school after an independent committee narrowed the choice to the top five designs. Katie Jennings, a senior at Valley Center High School, created the winning patch for VCHS. 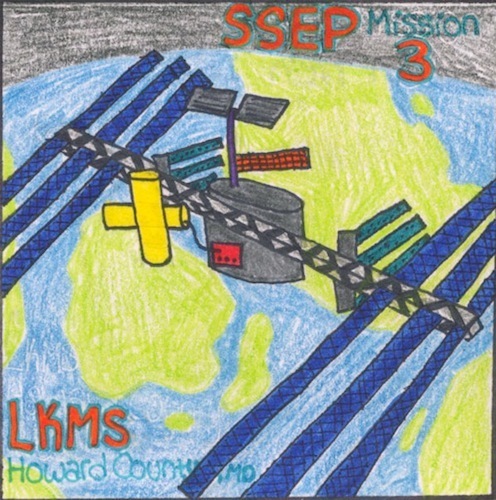 The Howard County Public School System invited 280 students from Lime Kiln Middle, Hammond Middle, and Wilde Lake Middle to participate in the Mission Patch Design Competition for the SSEP Mission 3. The art teachers in these three schools worked in collaboration with the science teachers to develop design for the mission patches that were authentic and well crafted. Narrowing down the winner was a difficult task for a group of administrators and teachers. Out of the 280 designs, 12 were sent forward for judging. 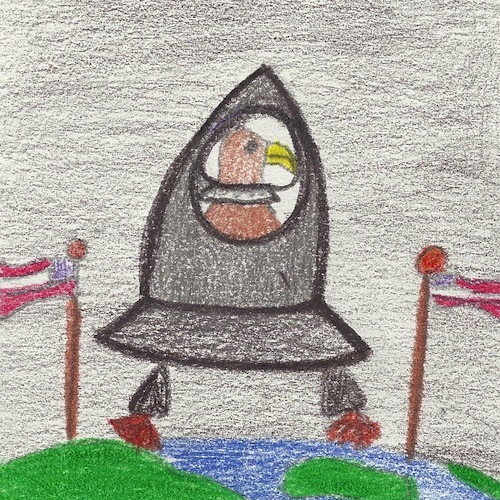 The winning designs, both from Lime Kiln Middle School depict a bird’s eye view of a satellite with Earth far below in the distance. 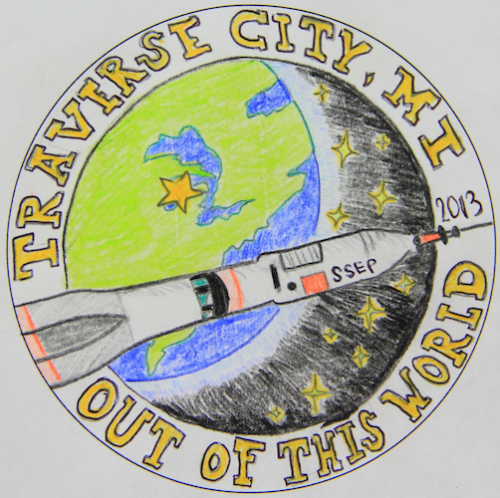 Traverse City Public Schools opted for the two-patch program. One was selected from Traverse City West Senior High School, and one was chosen from Traverse City West Middle School, the feeder school to West Senior High. All students from both schools were invited to participate in their respective Mission Patch Design Competitions, for a total of 2,842 students given and being made aware of the opportunity. 55 patch designs were submitted. Jayna Brunetti, 12th grade, designed the winning patch at West Senior High. Hannah Ellery, 8th grade, designed the winning patch at West Middle School. The Callaway/Pleasanton, NE community opted for a two-patch program. In Pleasanton, the competition was open to all students in grades K-12. A total of 200 students were provided the opportunity to participate with 88 mission patches submitted to the competition. 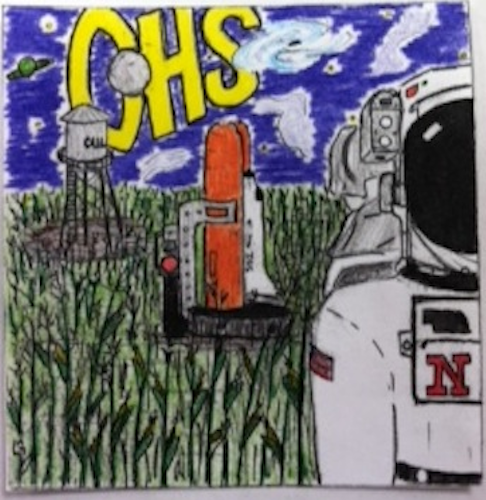 8th grade student, Jasmine Tapia, designed the winning patch. 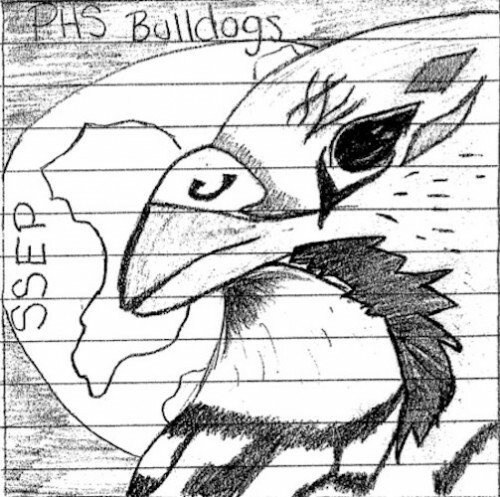 In Callaway, Callaway High School and Junior High School, 89 students in all, took part in the mission patch design competition. 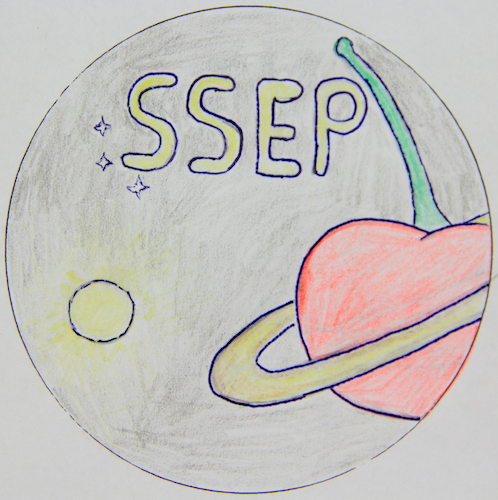 Each student had the opportunity to create a patch design they felt represented our area and participation in SSEP. At the conclusion of the competition, 37 unique designs were received and a panel of judges composed of student and staff members designated a design submitted by a team of juniors as the winning patch. Given its small size, 150 students, the Alpine Elementary School determined that all students in grades 5-8 would participate in the science experiment design phase of this SSEP program. 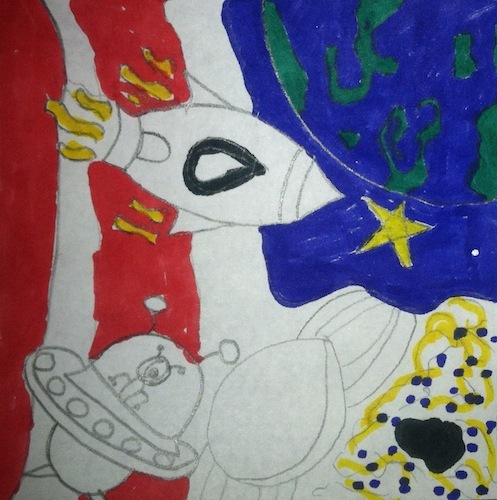 Similarly, all students in grades K-4 participated in the Mission Patch design. 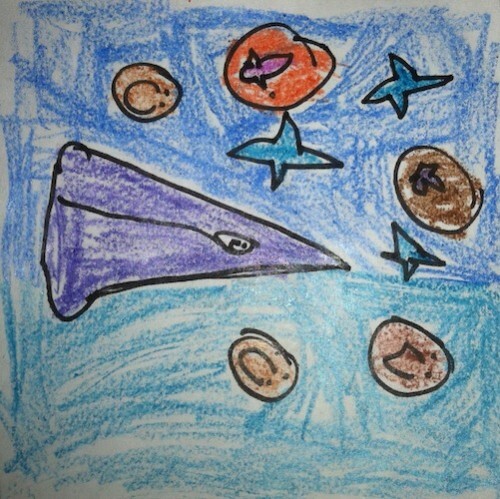 During their art classes, 48 students in grades kindergarten through two discussed the experiment that would take place aboard the International Space Station and why a patch would accompany the minilab experiment. Then, they brainstormed the design elements that should be included in such a patch. After developing consensus on those key elements, they shared them with the 36 students in grades three and four. All members of those two grades became the patch designers. 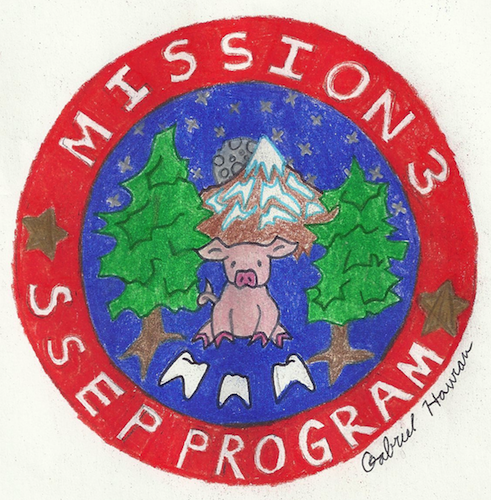 The 36 patches were reviewed by a selection committee and one, created by third grader Isabella Hong, was chosen to fly with Alpine’s Mission 3 experiment. 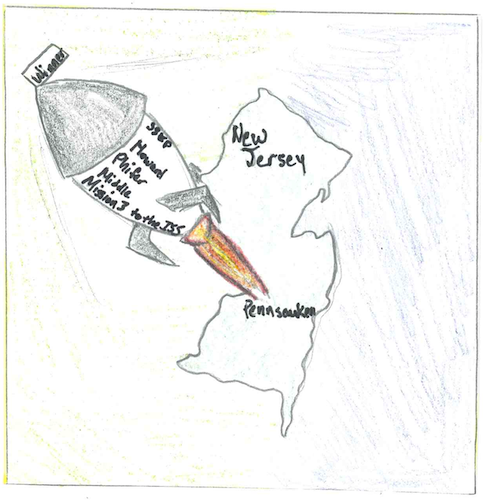 The Pennsauken School District invited 5,500 students in grades K-12 to participate in the Mission Patch Art and Design Competition. The district chose one winning patch from grades k-5 and one winning patch inclusive of grades 6-12. This provided motivation to children in the lower grades that they could be successful in the endeavor. After collecting a total of 64 patches, each school sent in their best patches and the patch committee selected two for flight, out of the 20 patches received at that level. The winners are 4th Grader Michael Furtado, Burling School and 8th Grader Kevin Lu, Howard M. Phifer Middle School. 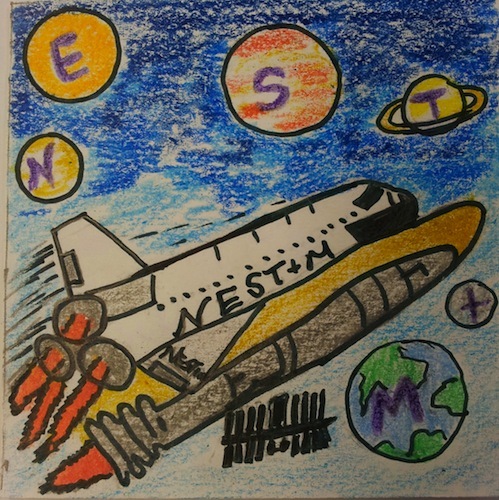 NEST+M hosted a 2-patch mission patch design competition, which was open to all students in grades K through 8, just over 1,000 students. 84 patches were submitted and our school’s assistant principals and principal selected two winners. 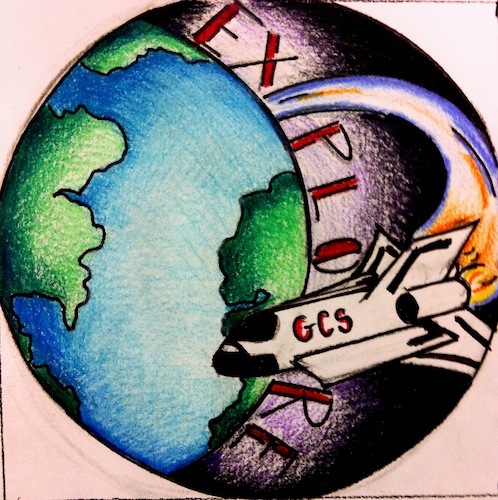 Guilford County Schools (GCS) expanded the excitement of the Student Spaceflight Experiments Program by holding two simultaneous Mission Patch competitions, one for high school students and one for middle school students. All middle schools and high schools in the district were encouraged to participate in the competition. Students from 10 schools representing approximately 2,121 students submitted patch designs. 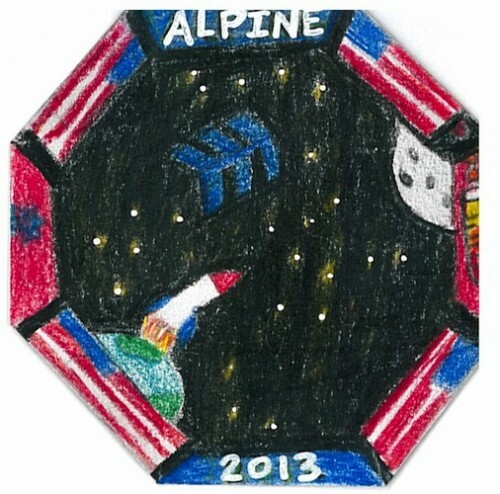 High school students submitted 375 designs, and middle school students submitted 439 patch designs, for a total of 814 mission patches. GCS made a commitment to have no less than 600 Mission 3 patch designs submitted to our local patch design judges. We surpassed our goal by 214 patch designs. 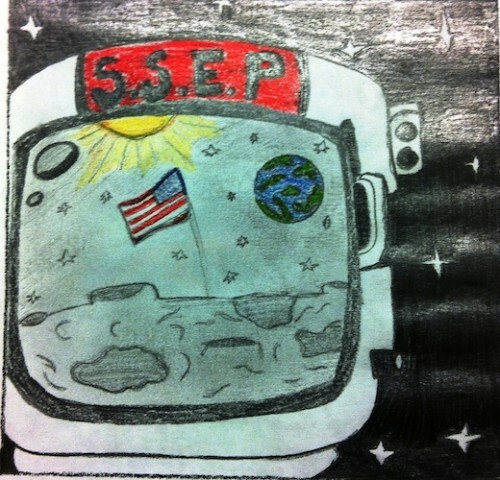 GCS celebrates the growth of our SSEP mission patch design competition. 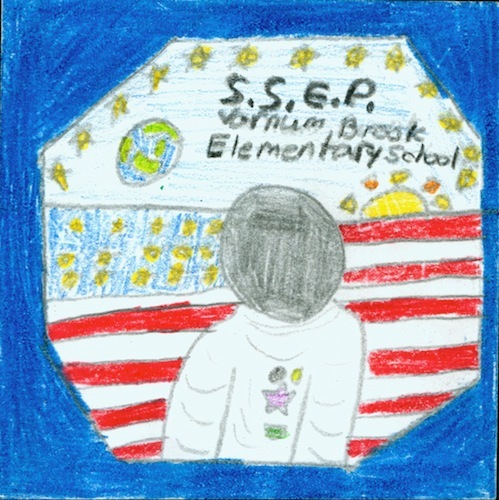 For STS-134, students in 1 school submitted 75 patch designs. 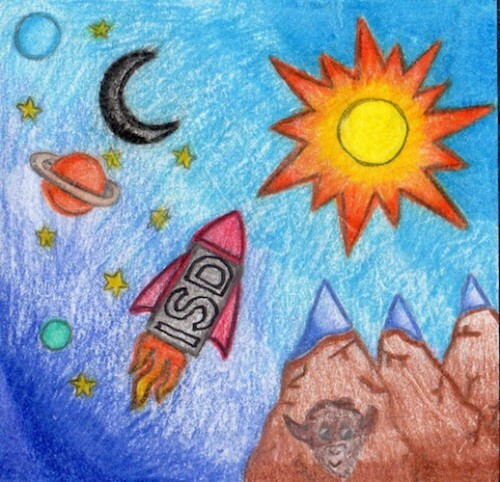 For Mission 2 to ISS, 244 patch designs were submitted by students in 3 schools, and for Mission 3 to ISS, students in 10 schools submitted 814 patch designs. West Salem High School together with Chapman Hill Elementary School participated in a community wide art patch competition to select our two mission patches to accompany our space experiment “Decay of pigs teeth in microgravity.” Eventual winners, Tiffany Truong (3rd grade) and Gabe Havran (senior) combined elements of the experiment with the wonderful attributes of our pacific northwest. Our community at the local grocery store, our city library, and our credit union judged sixty competition patches. Additionally high school students and staff voted on all designs. All told some 800 votes were cast. All 90 students who participated were awarded certificates of appreciation, special thanks to Maureen Foelkl of Chapman Hill who spearheaded the competition and to the many volunteers who helped her. 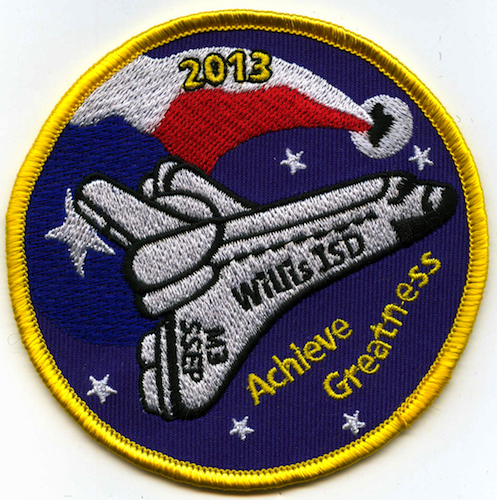 Willis Independent School District provided an opportunity for all 6,467 in the district to participate in the Mission 3 patch design contest. Art teachers coordinated the district-wide effort that consisted of two competitions, which included one elementary (K-5th graders) and one secondary competition (6th-12th graders). 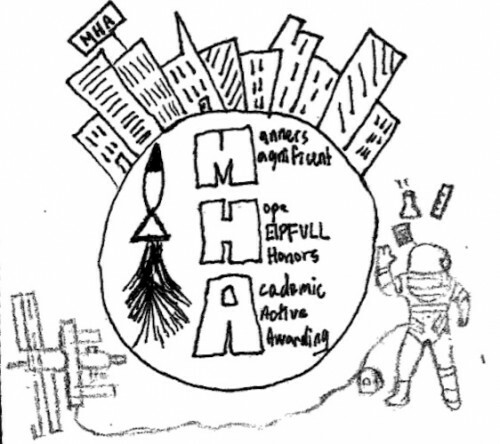 Students were instructed to create a design that would reflect pride in our community, and participation in the Student Spaceflight Experiments Program. 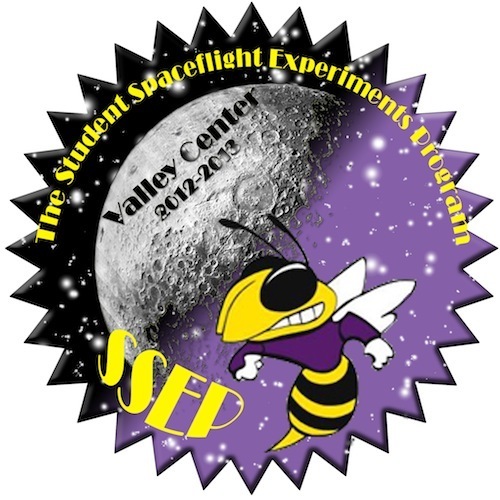 Two mission patches were selected to fly with the community flight experiment, out of 150 submitted at the elementary level, and 48 submitted at the secondary level. The patches will return after the flight and be displayed in the respective schools as a symbol of our community’s adventure in space. Our elementary patch design winner was Akerah Gardin a 5th grader from Parmley Elementary. Our secondary patch design winner was Haley Sellers a 10th grader from Willis High School. 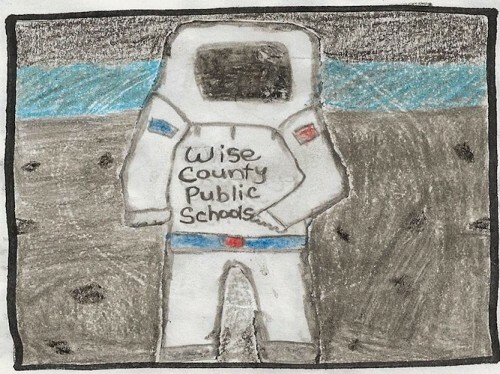 Over 1,000 students in grades K-12 grades participated in the Mission Patch Design Contest in Wise County, Virginia. More than 500 patches were submitted to the competition and local contests were held in each school. The selected patch design from each school was posted online and all community members were allowed to vote on their favorite patch. The submissions that received the most votes were selected as the winners. Our community selected one winner from K-4 grade and another winner from 5-12 grades. 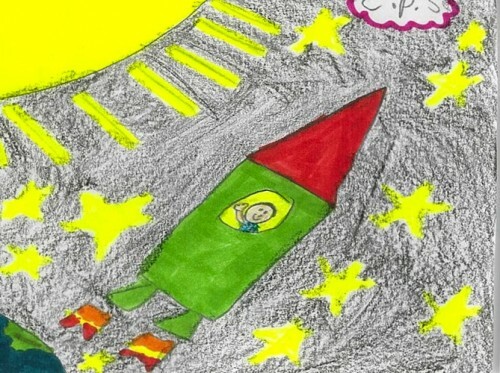 Savannah Stanley is a 3rd grader at Coeburn Primary School in Coeburn Virginia and is the winner of the K-4 grade Mission Patch Design Contest. Lexie Cantrell is a 5th grader at JW Adams Combined School in Pound, VA and is the winner of the 5-12 grade Mission Patch Design Contest.